That’s the question posed at the beginning of Daddy’s Home by Brad (Will Ferrell), who wants more than anything else to be a dad—because he can’t become a father, at least biologically. Since an unfortunate snafu in a dental office years ago rendered him sterile, stepdad Brad is working hard to become part of the household—and the world—of Sarah (Linda Cardellini) and her two young children. It’s not easy. And it certainly gets harder when the kids’ real father, Dusty (Mark Wahlberg), shows up—and sets up the “good, old-fashioned dad-off” hijinks of this high-spirited holiday comedy. Motorcycle-riding Dusty is scuffed boots, big belt buckles, bulging biceps and AC/DC’s “Thunderstruck.” Minivan-driving Brad is button-down blue Oxfords, neckties and the smooth jazz of the middle-of-the-road radio station at which he’s a mild-mannered middle exec. That’s before Dusty takes over Brad’s home-improvement projects, his home and even his job, triggering all sorts of comedic shenanigans—dueling bedtime stories, a gonzo backyard tree-house, a visit from “Santa” in April, a fertility-clinic fiasco and a wild motorcycle ride that turns Brad into a wall-piercing projectile. Ferrell and Wahlberg, who worked together previously in the shoot-’em-up cop comedy The Other Guys (2010), are two very funny guys. It’s nice to see them both back in a PG-13 setting, especially after Wahlberg’s raunchy excursions with his furry, foul-mouthed teddy-bear friend in Ted and Ted 2, and Ferrell’s crude 2015 prison-comedy flop with Kevin Hart, Get Hard. And it’s good to see them in something this funny. Much credit goes to director Sean (Horrible Bosses 2) Anders and his tight, bright screenplay collaboration with Brian Burns and John Morris, which keeps the laughs coming and works many gags for “overtime” payoff later. Anders also knows how to guide his supporting players—Thomas Hayden Church, Bobby Cannavale and Hannibal Burress—into comedic grooves with just the right harmonic undertones. Keep your eyes peeled as well for L.A. Lakers hoops superstar Kobe Bryant, actor-comedian Paul Scheer, and a cameo at the very end that puts the ideal capper on all that’s come before. 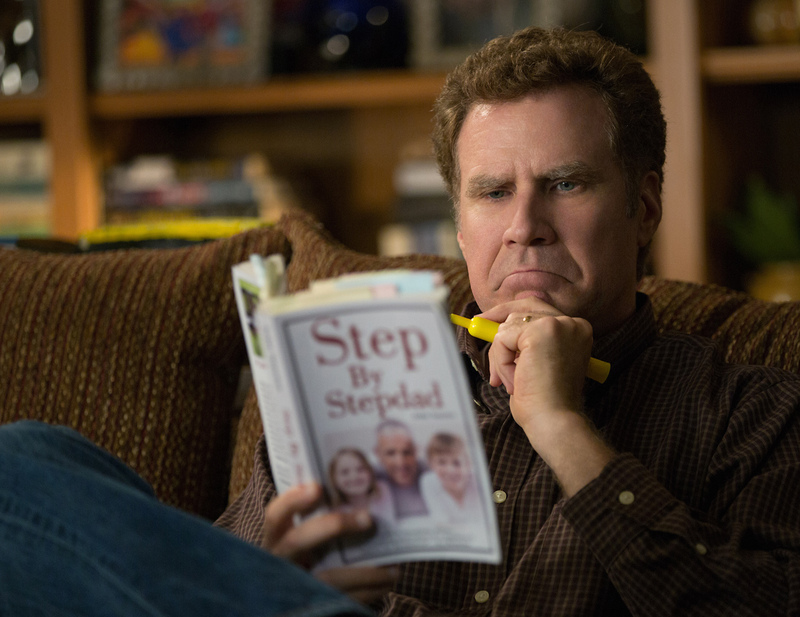 But there’s a soft, sweet spot in Daddy’s Home, too, about parents and kids and the realities of divorce—about how it takes teamwork to make a family, how parenting is hard work and no two dads are the same. Brad tries to see beneath Dusty’s tough exterior. 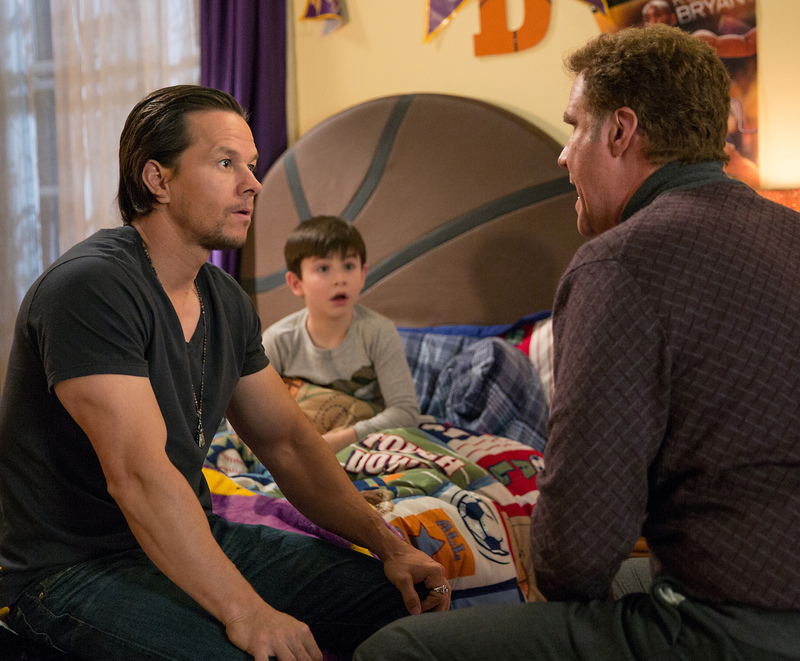 “I think, in here,” he says, pointing to his heart, “there’s a creamy center.” Daddy’s Home has one, as well, and it gives this rollicking co-parenting comedy a burst of sweet, flavorful feel-good that could make it a new seasonal repeat long after its theatrical run is done.